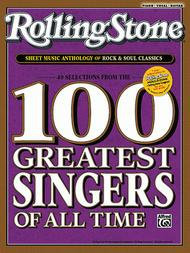 40 Songs from the Rolling Stone 100 Greatest Singers of All Time (Piano/Vocal/Chords). This edition: Piano/Vocal/Chords. P/V/C Mixed Folio; Piano/Vocal/Chords. Rolling Stone Magazine. Rock. Book. 264 pages. Alfred Music #00-34008. Published by Alfred Music (AP.34008). For music makers who love rock and soul, Alfred Music and Rolling Stone magazine have teamed up to create the ultimate songbook! 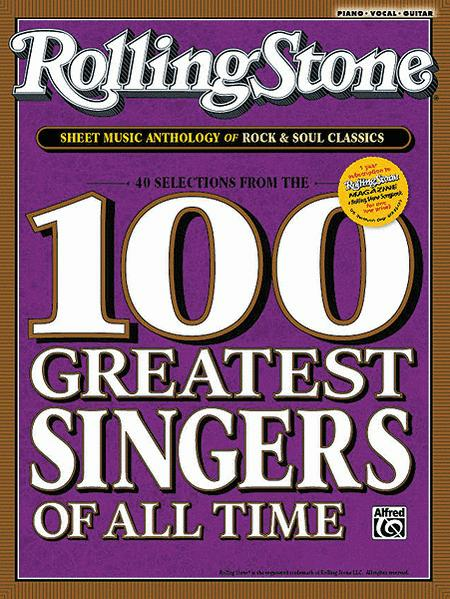 This collection contains sheet music for 40 hit songs that were made famous by the vocal superstars on Rolling Stone's 100 Greatest Singers of All Time list. For practice, performance, or fun, this songbook belongs in every music maker's library, and makes a great gift.